I'm sure you've been wondering where my fortnightly blog entry has been this week - well, here we are at last! The pressure is mounting to get as much done as I can before the exam period starts at UCL next Thursday - I supervise exam halls there. 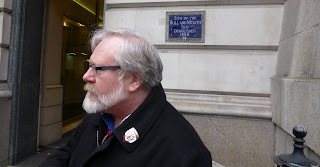 As such, I'm working flat out on my new Whitechapel tour, immersing myself in the Victorian initiatives that sought to engage with the problems brought by the development of London. 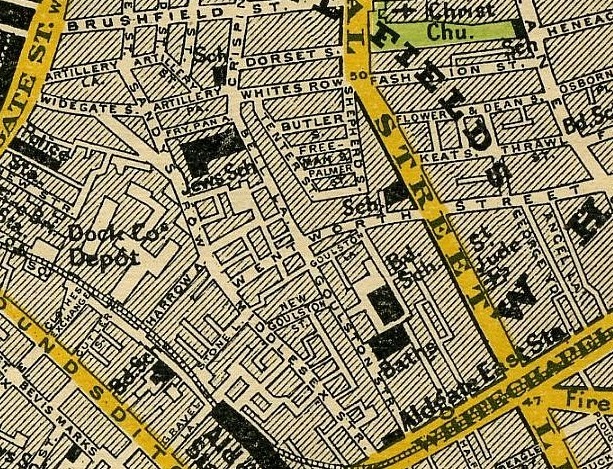 Anyway, this tour will be given its reduced-price preview on Saturday 29 April, and if you fancy it we're starting outside Aldgate Station (just appearing bottom centre of the map) at 2:30. It's a mere £5 a head, but do contact me on charnowalks-bgn@yahoo.co.uk to reserve your place. We've still got two weekends of 'Page and Stage' tours to go, and this coming weekend it's a belter. Two tours, both featuring readings. 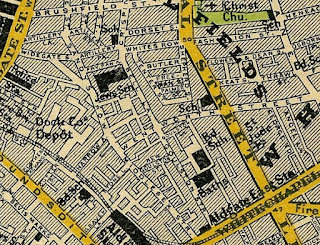 Saturday is 'Bethnal Green in So Many Words', exploring my home turf through the words of a variety of authors from Arthur Morrison to Monica Ali. Sunday sees 'Much Ado About Trading', which features readings from Shakespeare, Dekker, Middleton and others. to show how they brought the City to the stage. We round off with a celebration of Theatreland - 'Behind the Magic Curtain' takes a good look at what the West End has contributed to performance in this country. 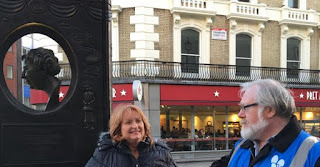 Next up, in the Merry Month of May, Charnowalks brings you Crime and the Law, a series of tours exploring the darker side of the East End and the City. In fact, why not join my mailing list and get all the hot news as it happens? That's all until the next blog entry, by which time I'll be a year older - I'm fifty-three on the 24th! See you on the streets soon. Photos of me reading from 'King Dido' and 'Martin Chuzzlewit' by Alan Tucker and Anna Tomlinson; photo of the Agatha Christie memorial by Anna Tomlinson; photo of the site of the Bull and Mouth, St Martin's le Grand by Geoff Kaye.